I love my mom. 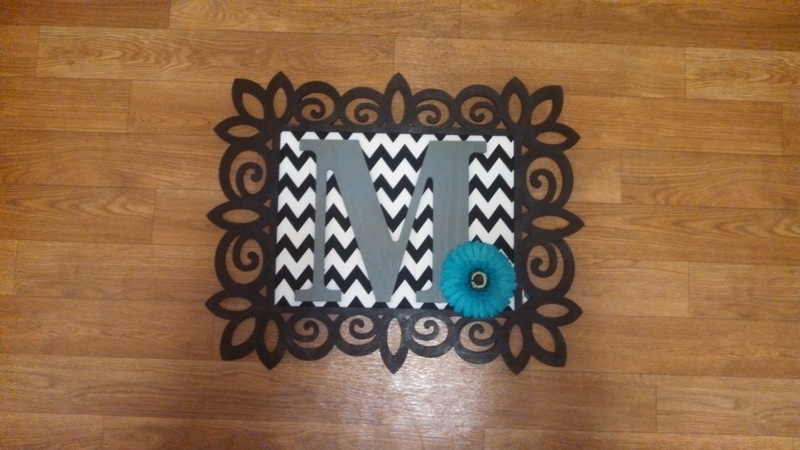 And she is the perfect person to test out my crafting abilities on. Her birthday was also coming up so it was another excuse to make this! 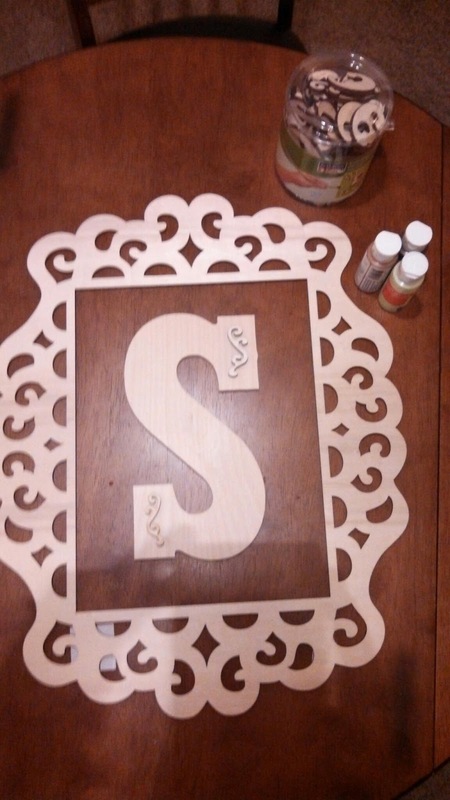 I gathered my supplies: wooden letter, frame, and accent pieces as well as some new paint. You will also need a poster board of sorts, a paint brush, and hot glue. 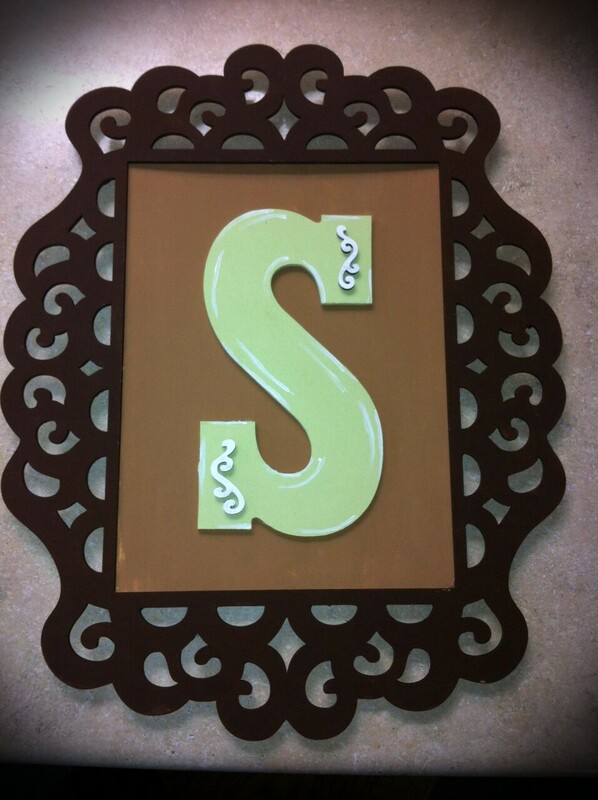 First I painted the frame, letter and little accent pieces and let them dry. Warning! Craft wood is super absorbent and it took me three coats of paint for each piece. I then cut and painted the poster/foam board to fit the frame and where none showed in the cut out parts of the frame. Then I carefully hot glued the letter to the board and then the board to the frame. I let it cool. But when it sat overnight the board had warped and I hot glued it again and now its really stuck! Here is another example (and a very terrible picture) of another way to make this project! This time I covered the foam board in fabric and added a flower to give it more dimension. This one was for my cousin who got married last fall! She and her husband(!) loved it!